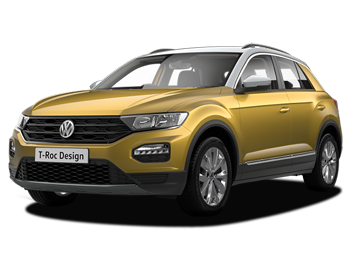 Meet the new Volkswagen T-Roc. It’s dazzling from every angle, from its audacious front grille right down to its assertive alloys. With personality in spades and the credentials to back it up, this is an SUV you can be confident in. Don’t settle for close enough. Find your perfect fit, style it your way, and travel your own path. The journey starts here. Jump in and take a good look around. From the bold flashes of colour that streak across the dashline to the solid, tactile controls, it’s all reassuringly Volkswagen. Settle into the low, sporty driving seat and make yourself at home. Dictate your drive; whether you need to wield the full might of four-wheel drive, or sit back and revel in the sporty dynamics. 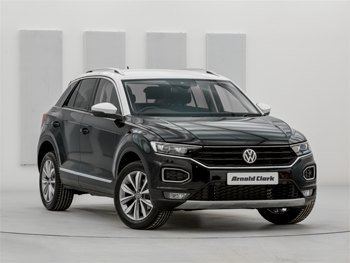 Sit back, relax, and let the T-Roc do its thing, from slipping effortlessly into a tough parking place to keeping a watchful eye on your blind spot. It’s the ideal driving companion.